Did you know that more than 19 million adults suffer with depression. Major depression is one of the most common mental illnesses, affecting 6.7% (more than 16 million) of American adults each year. Depression can occur at any time, at any age, and to people of any race, gender, ethnic group or health situation. 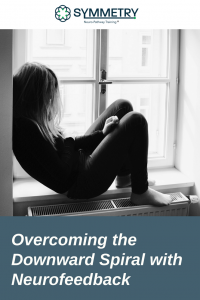 If you are feel overwhelmed, worn down, fatigued, sad, isolated, foggy brained, or disconnected, these are classic signs and symptoms that accompany depression. If you are feeling hopeless or helpless with any types of thoughts of suicide, please contact 911 or contact the Suicide Hotline at 1-800-273-8255 and ask for help. You are never alone and there is always someone available to help you in your time of need. The professionals at SYMMETRY Neuro-Pathway training strives to provide you with answers to some of your questions on depression. Biological – Changes in neurotransmitters or brain chemistry may cause or contribute to depression. Cognitive – Negative thinking patterns and low self-esteem are more likely to develop clinical depression. Gender – More women experience depression than men. While the reasons for this are still unclear, they may include the hormonal changes women go through during menstruation, pregnancy, childbirth and menopause. Other reasons may include the stress caused by the multiple responsibilities that women have. Co-occurrence – Depression is more likely to occur along with other mental health or physical illnesses. Medications – Despite taking medication for depression, there is a chance that medication can make depression symptoms worse as a side effect. Genetic – A family history of depression increases the risk for developing the illness. Depression is treatable if you seek help. If you have depression, you are not alone . Is there an alternative option to help improve depression symptoms? Yes! Neurofeedback is a drug-free, non-invasive natural approach to depression. While medication has a long standing history of helping individuals cope with depression symptoms. Medication is not a long-term solution. Medications have a place in short term care, but they do not address the underlying brain wave abnormality. This is how neurofeedback can help you. 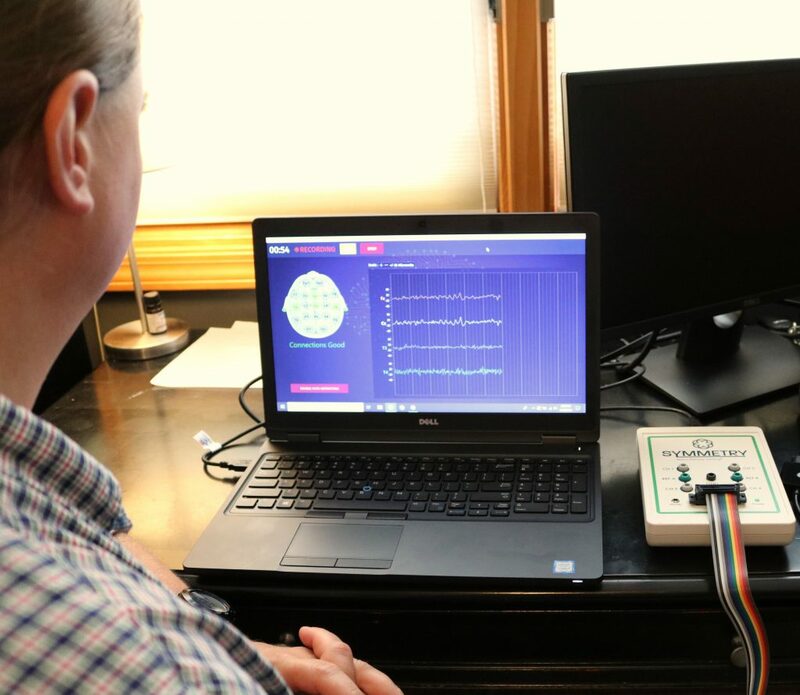 Neurofeedback works to create more efficient brain wave connections to increase brain performance. This is done through positive reinforcement by watching a movie or playing a video game. 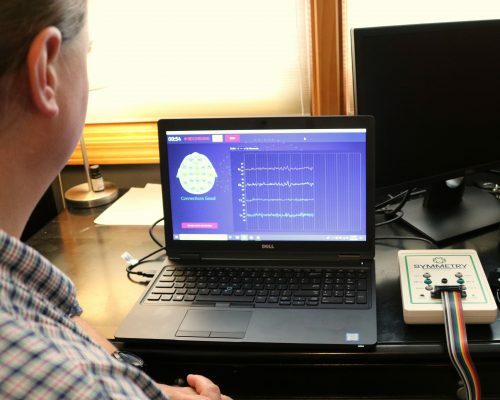 Neurofeedback training strengthens a trainee’s brain waves to reduce negative symptoms associated with depression and aims to maximize their brain’s potential. The experts at SYMMETRY Neuro-Pathway Training want to help you and answer any questions you may have in a convenient and stress-free environment. If you are interested in learning more about how neurofeedback can help alleviate depression symptoms, contact us to find out more information. 1. Substance Abuse and Mental Health Services Administration, Results from the 2013 National Survey on Drug Use and Health: Mental Health Findings, NSDUH Series H-49, HHS Publication No. (SMA) 14-4887. Rockville, MD: Substance Abuse and Mental Health Services Administration, 2014. 2. Mental Health America. Depression. Retrieved 2016. http://www.mentalhealthamerica.net/conditions/depression?